Increasingly, businesses around the world are recognizing that having women in business at all levels makes good business sense, and are taking active steps to make careers for women more attractive. Business schools play a key role in enabling these businesses to reach their diversity targets by identifying, admitting, and preparing the next generation of female business leaders. Many schools are putting in place a growing number of programs specially tailored to attract high-potential women: scholarships, clubs, mentors, and even special courses geared specifically toward developing these leaders. Today the percentage of women in MBA programs—still the benchmark of education for executive career-seekers—varies quite significantly but hovers between 25 and 35 percent, according to the Financial Times top 100. For more read Increasing Female Role Models in Business Education and Inspiring Female Business School Students to Lead. 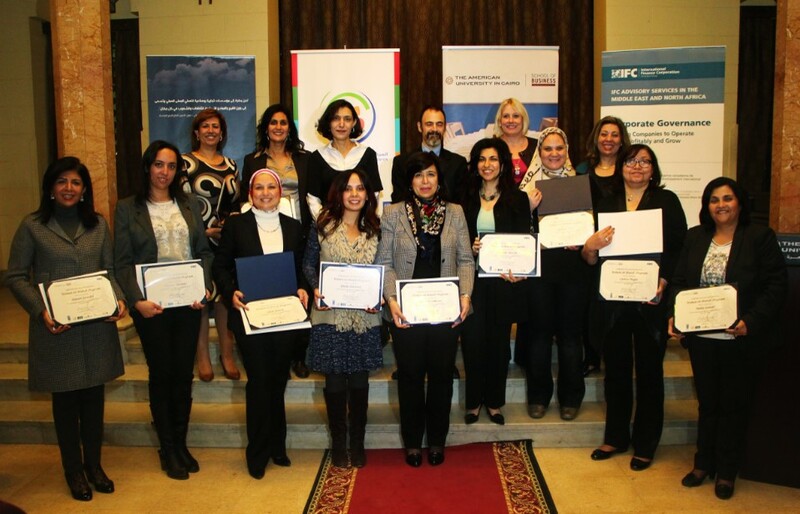 The American University in Cairo School of Business in Egypt has developed a unique series of initiatives aimed at improving gender balance of corporate boards in Egypt and the Middle East and North Africa region, by qualifying women to be appointed to corporate boards, sensitising male board members to gender issues, and advocating for policy and legislative changes that institutionalise gender diversity on corporate boards. Click here to learn more about the Women on Boards programme.